With a growing aging population, nursing homes and other long-term care facilities are becoming more and more essential to provide care for elderly persons. Shockingly, while these facilities are designed to offer a high level of care for those who are most vulnerable in our society and need medical assistance the most, nursing home abuse and neglect is tragically common. At the law offices of Bloch & Chapleau, LLC, our nursing home abuse attorneys are passionate about protecting the rights of elderly persons in our state, and can assist you in investigating nursing home abuse suspicions, and bringing forth a claim for damages if nursing home abuse is occurring. Nursing home abuse can have serious physical and emotional effects on a nursing home resident, and could result in a deterioration in health condition, or even increased risk of death. If you suspect that nursing home abuse is occurring, you should act immediately. The first thing that you should do is to speak with a nursing home supervisor or manager about the suspected abuse. If the problem is not immediately resolved, you should file a complaint with the Colorado Department of Public Health & Environment. If you believe that the nursing home resident is at imminent risk of harm, you should not hesitate to call the police. If harm has been suffered or/and nursing abuse is continuing, working with an experienced nursing home abuse attorney in Colorado may be necessary. 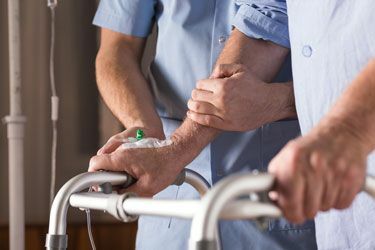 A nursing home abuse attorney can help you to explore your options for bringing forth a claim for medical malpractice and nursing home abuse, including how to prove negligence/malpractice, and what damages may be available to your loved one and family. There is nothing easy about learning that a loved one is being abused. If you suspect that abuse is occurring, please take action quickly, and know that our lawyers have been providing legal services to Coloradans for more than 30 years, and are here to advocate for you. We care about you, and are passionate about representing victims of nursing home abuse. Reach us today for a consultation.